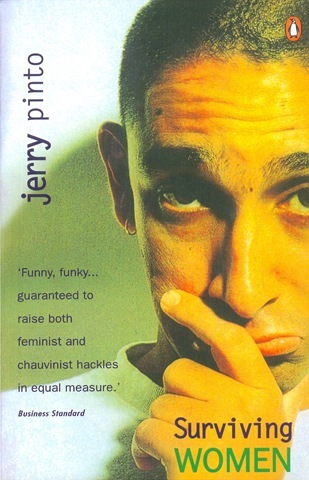 Jerry Pinto on writing, reading, films and Meljol. Jerry Pinto is a Mumbai-based Indian writer of poetry, prose and children’s fiction. His noted works include Helen: The Life and Times of an H-Bomb (2006) which won the Best Book on Cinema Award at the 54th National Film Awards, Surviving Women (2000) and Asylum and Other Poems (2003). 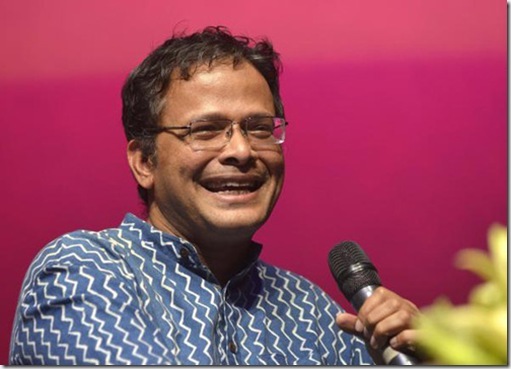 His first novel Em and The Big Hoom was published in 2012 and won the Hindu Literary Prize. You’ve dabbled in several different genres: film-writing, children’s books, graphic novels, translations and a full-length novel. Why were you tempted to try all these different styles of writing? Is it the inherent challenge? I don’t think it’s the challenge so much as the necessity. What you want to say defines the form in which you say it. 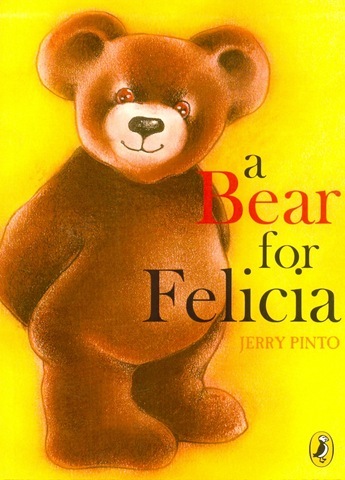 So if I want to tell a story as a teddy-bear because I heard a friend talk about a teddy-bear that was sold for six thousand pound sterling, I suppose I could tell it as an adult novel—and indeed many adults have enjoyed A Bear for Felicia (Puffin)—but it does seem to fit naturally into children’s fiction, no? But I don’t think writing comes with labels and badges. Those other people put on to us. So at a poetry reading I am introduced as Jerry Pinto, poet of Asylum and other poems and anthologist with Arundhathi Subramaniam of Confronting Love. 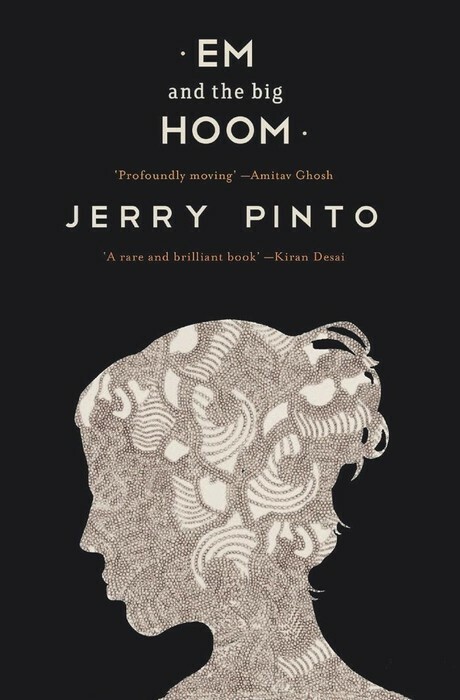 But at a panel discussion about writing about the family, I become Jerry Pinto, novelist, who wrote Em and the Big Hoom (Aleph). 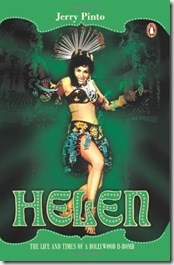 If I’m on a Bollywood panel, then I’m the author of Helen: the life and times of an H-Bomb (Penguin). At a comics convention, I’m the chap who wrote When Crows are White (Scholastic) which Garima Gupta drew so magically. But at a translation convention, I might be called the translator of Sachin Kundalkar’s Cobalt Blue (Penguin). Here’s a flash: same Jerry. Em and the Big Hoom went on to become a huge critical success and won the Hindu Literary Prize and the Crossword Prize for fiction. Were you apprehensive about the reception to the book, given that it was based on events in your own life? Was success a sort of validation, or a relief? Or did it not matter? In my wildest dreams, I could not have imagined the kind of critical acclaim that Em and the Big Hoom received. I am grateful for the huge understanding and empathy that has flowed my way. At the first reading of my book, a senior journalist who I thought was a friend, stood up and asked: “Don’t you feel guilty using your mother in this way?” Later, when the event was over I thought I should have replied: “Don’t you feel guilty asking that question?” But even then, I was thinking: “She’s asked me the worst possible question. And I am answering it. And now every other question will be easy after this.” So perhaps one day I will come to a space where a bad review does not matter. Today, where I am, it matters. Bad reviews hurt me. Questions like that one are painful and afterwards, you end up thinking, “Did I? Did I really use my mother?” One day I may be able to “meet with Triumph and Disaster/and treat those two impostors just the same” but not right now, not at this stage in my development. I am a work in progress. 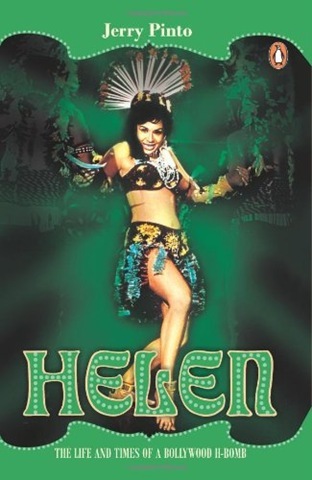 You’ve written about Helen and Leela Naidu. Which other film actors’ biographies would you be interested in writing? Or non-film personalities, for that matter? I don’t think there’s anyone specific. As for non-film personalities, I am at present neckdeep in some poets from the 1970s, the poets of Clearing House, a publishing cooperative that brought out some of the most important books of Indian poetry: Adil Jussawalla’s Missing Person, Arun Kolatkar’s Jejuri, Arvind Krishna Mehrotra’s Distance in Statute Miles and Nine Enclosures, Gieve Patel’s How do you withstand, body? and Dilip Chitre’s Travelling in a Cage. This is a magnificent moment and I am happy to be trying to document it. In the introduction to Reflections on Water, you’ve mentioned the confusion with identity that you grew up with; a Roman Catholic boy whose parents had roots in Goa, but who grew up in Bombay, watched Hindi films, but spoke English at home. How much do you think these various dichotomies provided material that you’ve tapped into, as a writer? Would you want to write a novel set in Goa? I think we all tap into our dichotomies and try and make music out of them. I have never lived in Goa so I wouldn’t dare to set a novel in Goa at least at this point. The good thing about Goa is that has a vibrant writers’ community and there will be many novels coming out of this small state soon, as there have already been. I should hate to think of myself as an arbiter of taste. We’re seeing a boom in the number of books being written, but their content often leaves something to be desired! Do you think writers, and publishers, have a responsibility to educate readers? What about those who claim that reading is ‘entertainment’ which they indulge in for ‘timepass’? I think the Nation of the Word is large and elastic and welcoming. Its borders do not need to be patrolled and its laws need not be Draconian. There should be books of all kinds, timepass books and serious books, books that educate and elevate and books that entertain and amuse. There should be a book for everyone and I should hate to think of myself as an arbiter of taste. That is what critics think they do and what publishers actually do, if you think about it. I’m glad I’m not a publisher. Would you ever be tempted to attempt a novel in unfamiliar territory – say something about politics? I think there is always a temptation to try something new and unfamiliar. And of course, when one is doing something that one expects will be familiar, it turns out that the territory is very different when one is actually doing it. You think you know what you have to say, you think you know how you are going to say it and then when you write it down, what you thought was about to become a chapter becomes a line or two and suddenly it’s over. Or something you thought was a passing remark needs exposition, explanation, contextualization. You asked about challenges? Well, that’s always the central challenge. How does one translate what is an idea into words? How is the translation of Baluta coming along? When can we expect to read it? Baluta is a masterpiece, a literary milestone. I am working humbly at it, allowing the book to dictate terms to me. My friend Shanta Gokhale has been offering vital support and help but then she is a national treasure, or should be declared so. Few people are so generous of their time and their attention. I think it should be out in print by the end of 2014 or early in 2015. Thank You, Mr.Pinto, for taking the time to answer our questions. We wish you all the best for all your future endeavours, and are waiting anxiously for your next book! Jerry Pinto can be found at his website, on Facebook or Twitter. Meanwhile, check out this great article by Mr. Pinto on Indian cinema at Outlook India. A great interview with Pinto! Thanks Tnahsin! Which other authors would you like to read about? Tell us! Wow, you sure have a long list… we’ll try to get interviews with all these authors. They’re definitely on our must-have list!